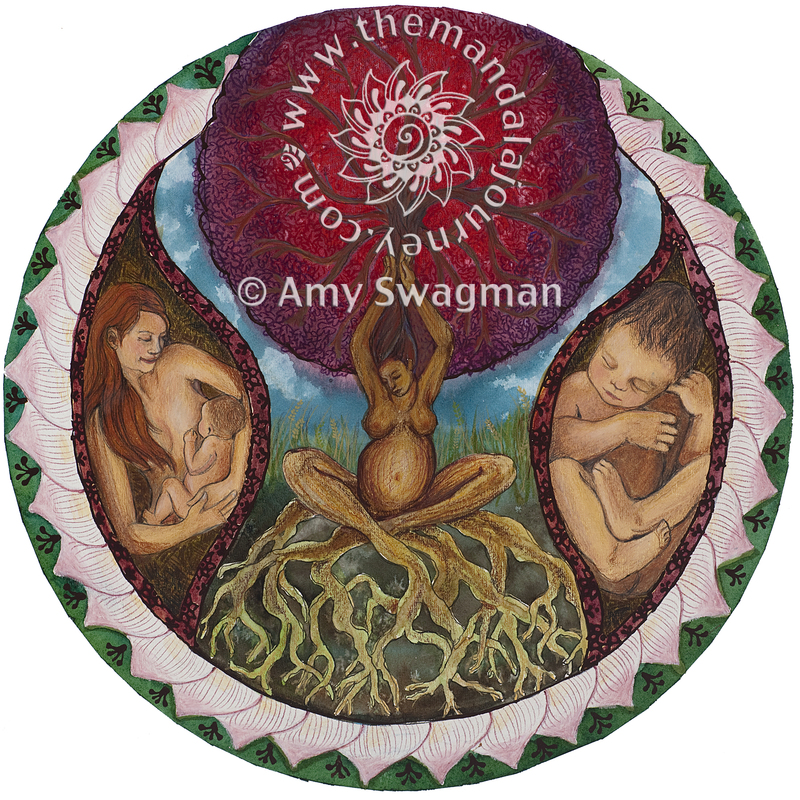 This is another commission I just finished for a wonderful midwife. 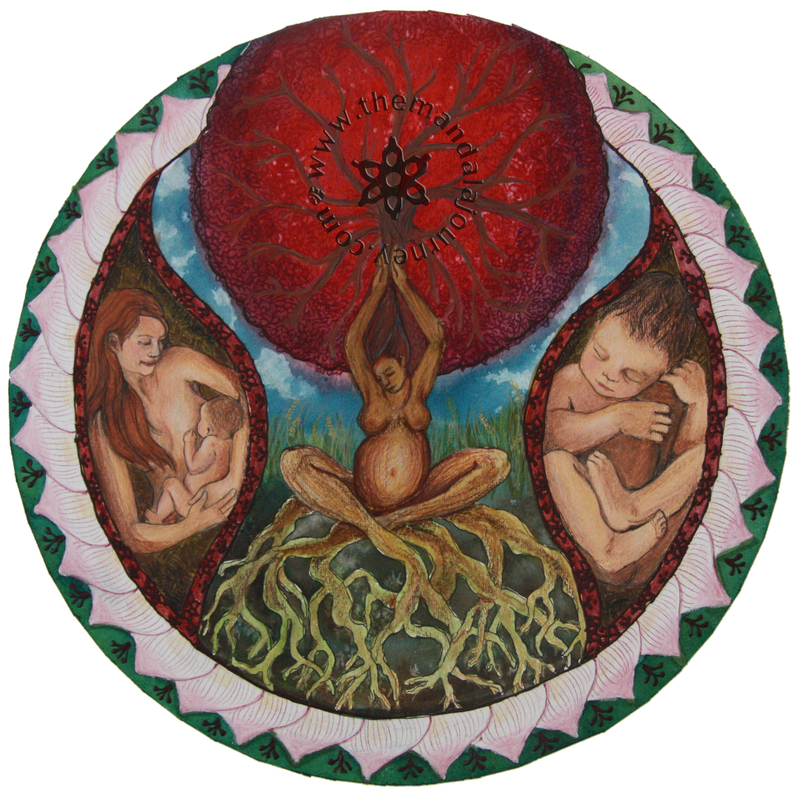 She wanted to incorporate a pregnant figure pendant her preceptor had given her, a nursing mama, a “squishy baby,” a placenta/tree of life, and a pink lotus. Love it! 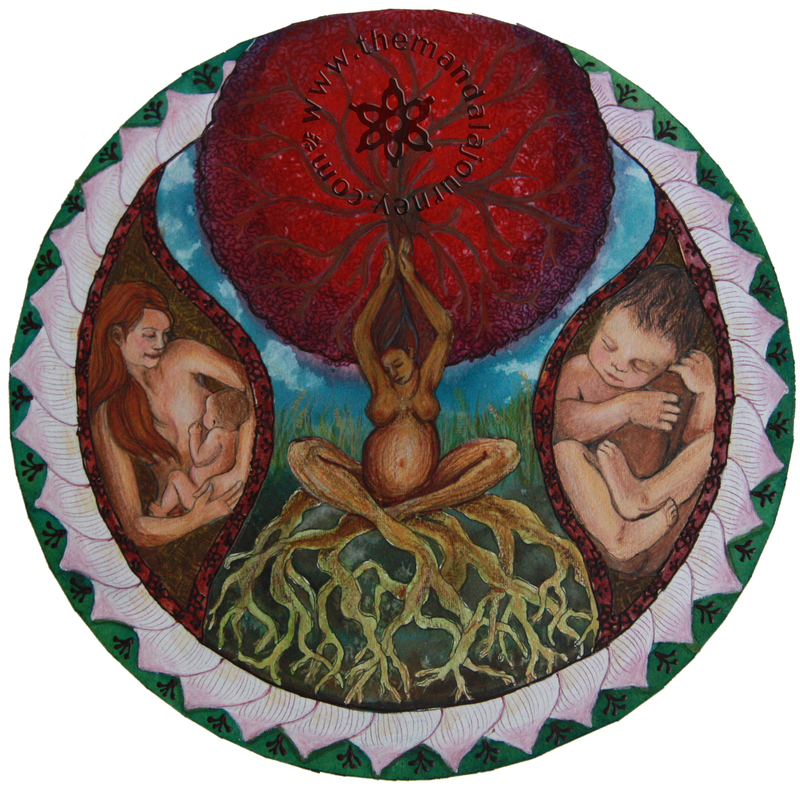 Wish I were the midwife blessed to receive this! Beauty! oooh prints are yummy! a commissioned work would be so wonderful. maybe when i’m back in the swing of things and taking clients again (getting ready to have #2 soon)! Definitely let me know! I’ll be working on posting the prices and stuff for the prints soon and if you brainstorm some ideas for a commission that would be fun too. Congrats on #2! When are you “due”? How old is your oldest? Is he/she going to be at your birth? Oh, I think early October. I’m kind of winging it thins time. My son is just 3 this month, and we only recently moved to Montana, so I don’t have much friend/family support. I do not definitive plans for him yet, and he still wakes up and wants to snuggle in the night — not sure how it will all unfold! Love the new theme Amy! If we have another baby, I might be calling you for some belly cast work or some henna! I wish I would’ve done it with one of my last two at least! You do amazing work! Thanks so much, and definitely let me know!